AT&T Business is using The Masters golf tournament live coverage as a platform to launch a new campaign from BBDO targeting mid-sized business. Directed by Academy-Award winner Michel Gondry of production house Partizan, the spots use portals as a visual metaphor for Edge-to-Edge Intelligence, showing how the portals show up to give business decision makers and owners the power to see and react to every corner of their business. It’s a simple visualization that shows how Edge-to-Edge technology gives businesses, especially growing businesses--in this case a Gelato company--a competitive advantage. 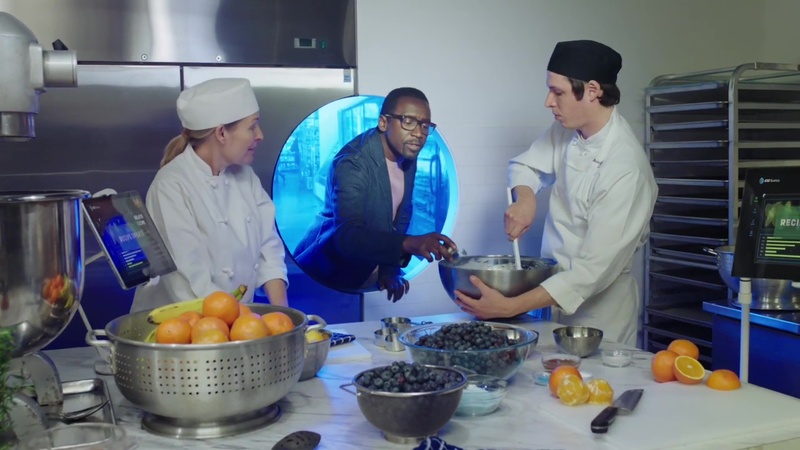 “Gelato” is one of three commercials in the AT&T Business campaign. Client AT&T Business Agency BBDO David Lubars, chief creative officer, worldwide; Greg Hahn, chief creative officer, NY; Matt MacDonald, EVP, group executive creative director; Daniela Vojta, Susan Young, EVPs, executive creative directors; Kara Goodrich, SVP, sr. creative director; Pebble Goh, VP, creative director; Julie Collins, EVP, group executive producer; George Sholley, VP, executive producer; Melissa Chester, executive music producer. Production Partizan Michel Gondry, director; Lisa Tauscher, managing director/executive producer; Molly Griffin, executive producer/ head of production; Raffi Adlan, line producer; Shawn Kim, DP. Editorial Cosmo Street Editorial Tessa Davis, editor; Josh Berger, Taylor Morano, Habib Semaan, George Irizarry, assistant editors; Maura Woodward, NY exec producer; Yvette Cobarrubias, LA exec producer; Kacie Gomez, LA producer. VFX/Finishing The Mill Erin Hicke, sr. producer; Mary Mondrus, VFX coordinator; Glyn Tebbutt, creative director/2D lead; Tim Rudgard, Franz Kol, Katerina Aroyyo, Jeannie Huynh (Remedy), Daniel Lang, Matthew Dobrez, Lisa Kim, Tim Robbins, 2D team; Fredrick Ross, design lead/3D lead; Katie Yancey, 3D; Patrick Kipper, Greg Rubner, Anastasia Skrebneva, design team. Audio Post Sonic Union Steve Rosen, sound engineer; Patrick Sullivan, producer. Music Beacon Street Studios Leslie DiLullo, exec producer; Beacon Street Studios, composers. Telecine The Mill Adam Scott, colorist; Liza Kerlin, sr. color producer; Nate Seymour, Gemma Parr, Logan Highlen, color assists.